For me, summer is all about wearing vibrant colors. So when I saw Banke’s post of her GORGEOUS purple skirt, I started jonesing for one of my own. Amazingly, I was able to find this rich purple midi for only $7.50! The light-weight flowy skirt was perfect for today’s triple digit temperatures. 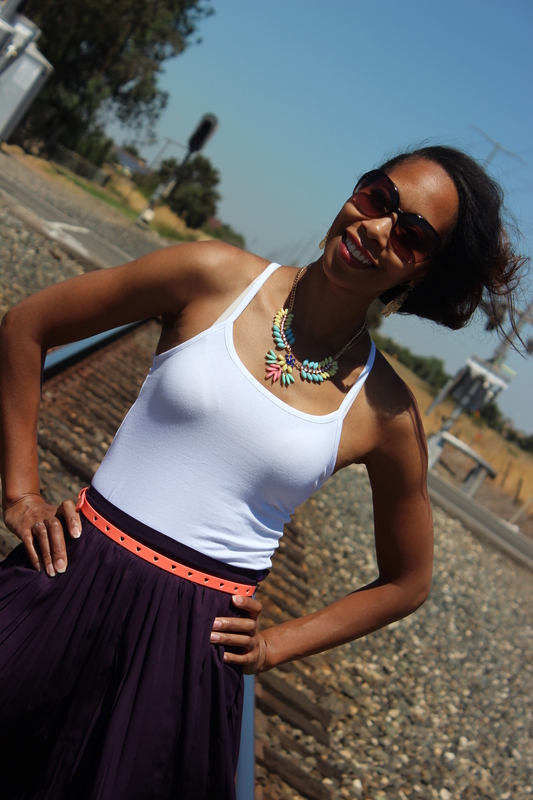 To style the skirt, I opted for a simple white tank and additional pops of color from my favorite statement necklace and an orangesicle belt. Silver Mary Jane wedges finish the the look. What pieces are you jonesing to have in your wardrobe?